The Red Hen restaurant in Old Saybrook took some flak after a restaurant by the same name in Virginia asked White House Press Secretary Sarah Sanders to leave while she was dining with her family. 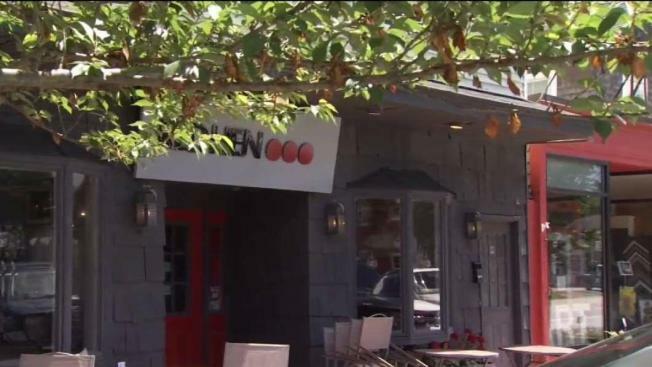 An Old Saybrook restaurant shares a name with a Virginia business in the center of a controversy surrounding White House Press Secretary Sarah Huckabee Sanders, and it's causing headaches for the Connecticut owner. The Red Hen in Old Saybrook is closed on Mondays. But that didn’t stop the phone from ringing off the hook. That’s been the case all weekend after Sanders tweeted that she was told to leave the Red Hen in Lexington, Virginia because she works for President Donald Trump. “Her actions say far more about her than about me. I always do my best to treat people, including those I disagree with, respectfully and will continue to do so,” Sanders tweeted about her interaction with the restaurant’s owner. She also addressed the situation at the start of her White House press briefing Monday. But the Red Hen owner in Old Saybrook, Shelley Deproto, said her restaurant has absolutely no relationship with the Virginia restaurant that’s more than 500 miles away. There’s also no franchise with the name “Red Hen” that she’s aware of. But that didn’t stop Deproto from getting a number of Google texts and angry messages. She walked into the restaurant by noon on Saturday and had least 50 voicemails on her machine. Some, she called threatening. “There’s also rage and profanity on there, too. So, people are angry,” Deproto said. She was getting fake take-out orders and reservations. “We were hustling trying to erase fake reservations as quickly as we could, to answer the phone as quickly as we could,” Deproto said. But the restaurant is also victim to scathing online reviews. She and Red Hen bartender Mary Bowler have been responding to Facebook posts to set the record straight. “People are immediately apologizing but the damage is already done whether they’re changing our rating or giving us a bad review,” Bowler said. Ratings on Facebook and Yelp had taken a hit over the weekend, but have since gone up. “Seeing our ranking has plummeted from a 4.5 to a 2, that’s a direct effect on my livelihood, Shelley’s livelihood, the people who work here,” Bowler said. Yelp posted that it’s working to clean up the reviews sparked by the news. Allyson Tanner owns KUR Recovery Spa, also on Main Street, and said it’s unfortunate the business has to do damage control for something out of its control. “You have foot traffic which is phenomenal on Main Street, but word-of-mouth is what gets you your business,” Tanner said. Some dining locally also feel bad for the Old Saybrook dining spot. “They’re directing that anger in the wrong direction – at a business that had no part in what happened,” said Clinton resident David Russo.